On December 1, we’re joining a national day of generosity, #GivingTuesday. It’s a day when you can make a big impact on Maria & Joseph’s Ministry to the Poor and the mothers and children in the Philippines. With your help, we’ll raise funds to help launch the “MJMP’s Building Campaign” and support and grow our vitamin distribution project in the Philippines. We will earn matching funds form our partner, Network for Good—Making your support go further. Take photos to post on Facebook, Twitter or Instagram. 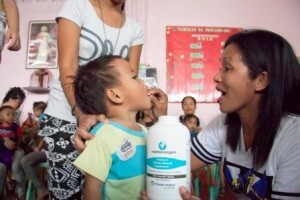 With your support, we can raise $5,000 to help build the MJMP Center and support and grow our vitamin distribution for the mothers and children in the Philippines. If we can answer any question about the campaign, please let us know.